Our March 2019 Instrumental Access Call for Applications is now open! 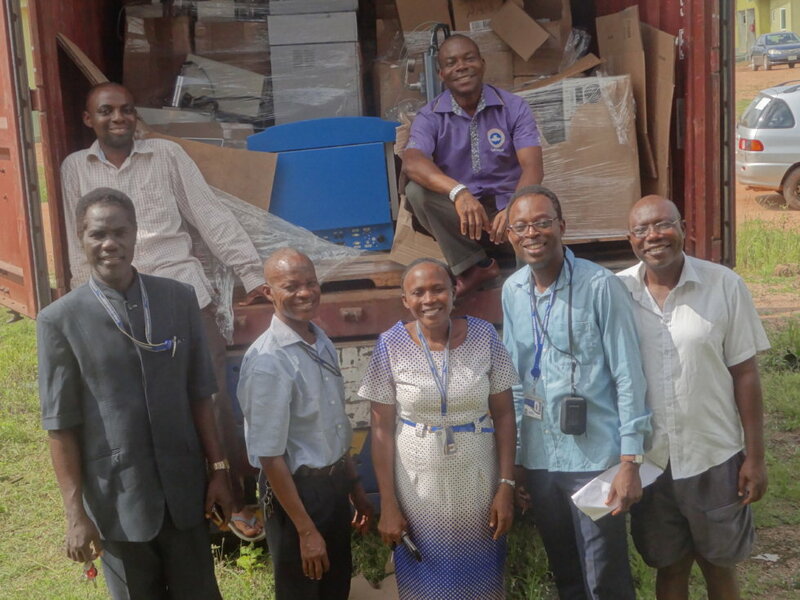 You could join past Instrumental Access awardee Dr. Emmanuel Unuahbonah and colleages at Redeemer's University, pictured above as they greet their container of equipment as it arrived on campus in Nigeria. Please see the Call for Applications for eligibility requirements and program details. This application cycle has two deadlines: 14 June 2019 and 30 August 2019. We hope that you’ll consider applying if your institution is eligible. Also, please help us spread the word by sharing this opportunity with your colleagues. Here's a link to the call for applications pdf that you can download and share, or share it via Facebook, LinkedIn, or Twitter.